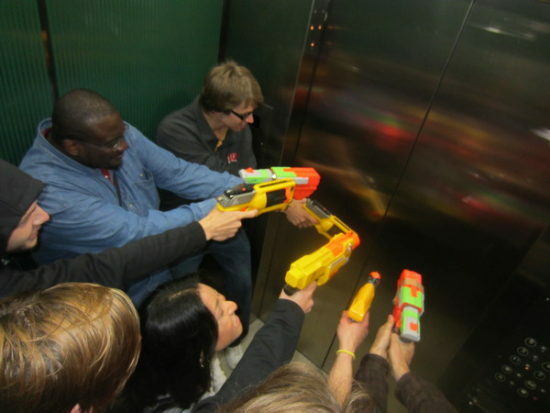 Jericho is an urban spy game with Nerf guns played sneaky in public settings all over SF like malls and parks, where everyone assumes the role of a spy like a giant secret game of Capture the Flag. Each team of “agents” will carry out missions where they will need to either eliminate their opponents or deliver “top secret documents” to win. The sneakier a player is, the better. Want to have the most fun? Get creative and make a costume and build your own foam-based “assassination” kit.